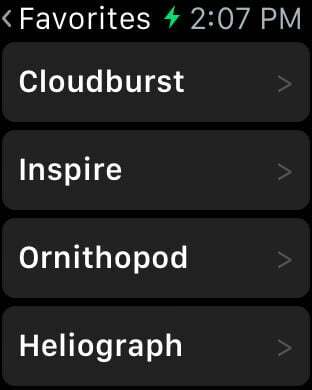 Need to look something up in a hurry? 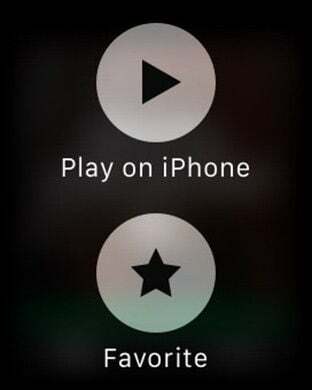 Forget your iPhone -- there's a faster way! 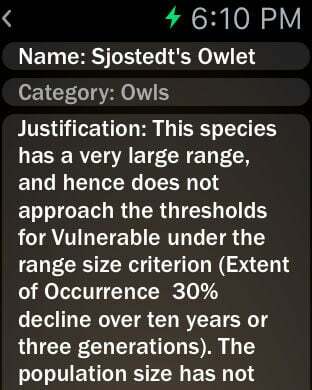 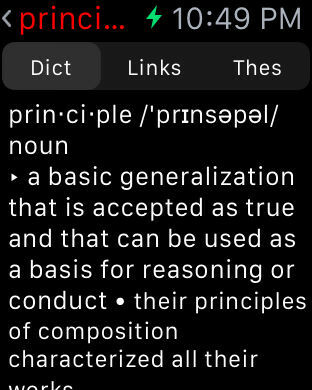 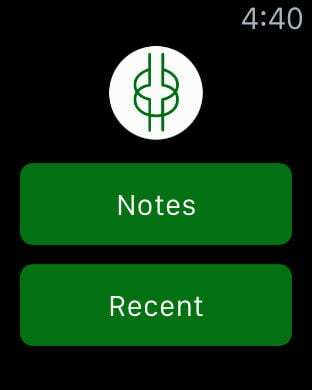 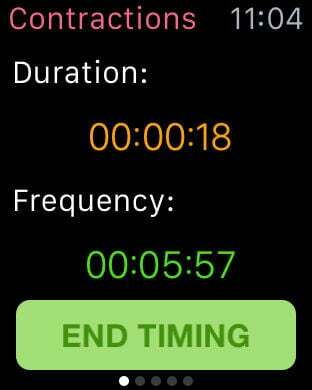 On Apple Watch, you can settle bets with Wikipedia, consult definitions across several dictionaries, and even keep tabs on private personal information for easy reference. 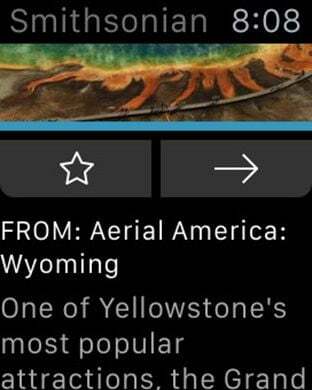 With these apps, you'll be a bona fide walking encyclopedia. 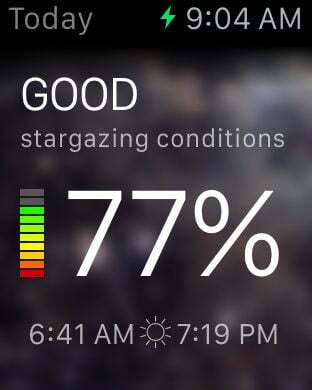 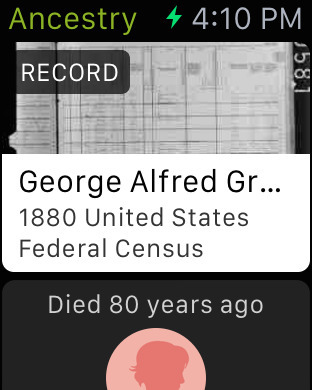 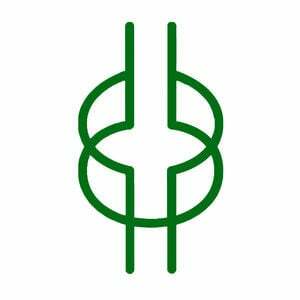 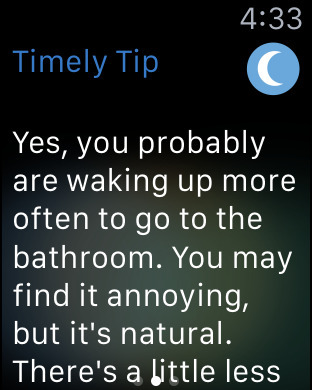 Apple Watch is the Farmers' Almanac of the 21st Century. 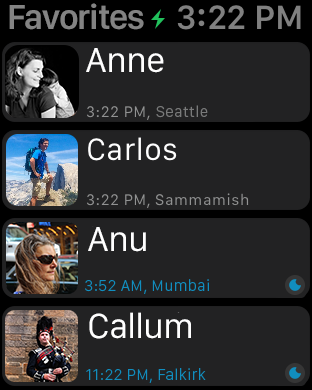 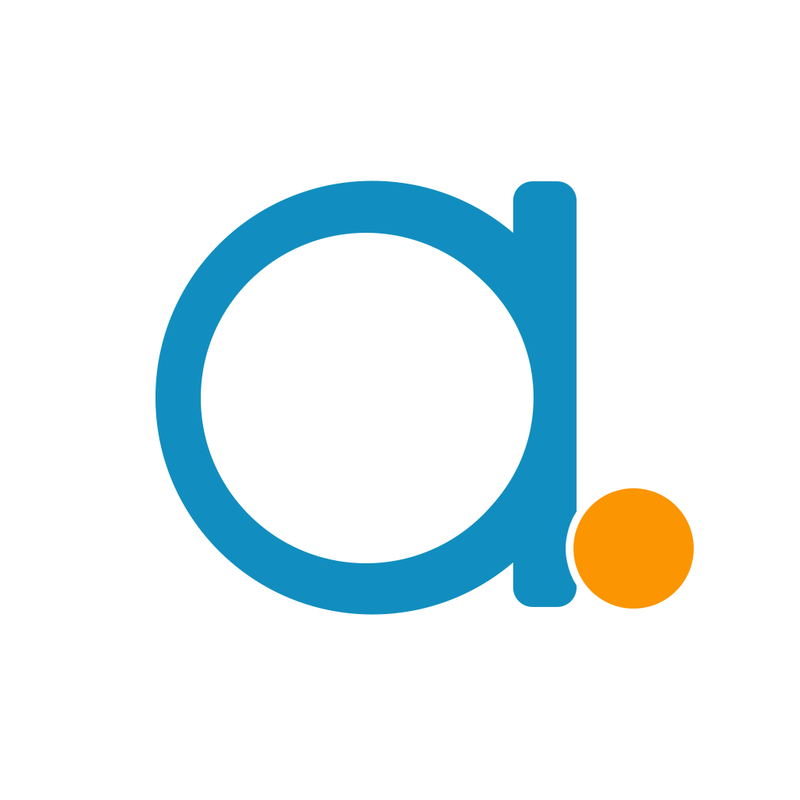 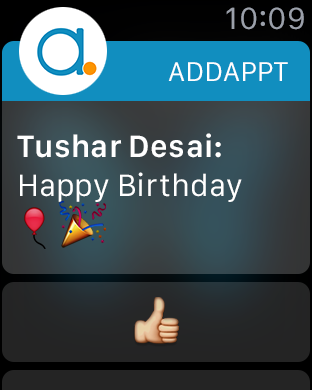 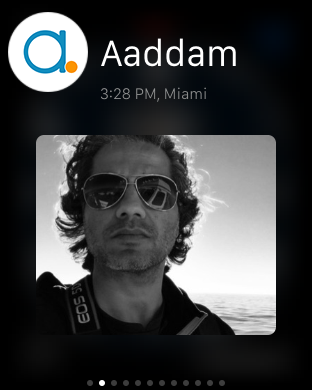 addappt is a free app on iOS, Apple Watch and Android that enables friends to keep each other's contact information up-to-date and message each other with one 'tapp'. 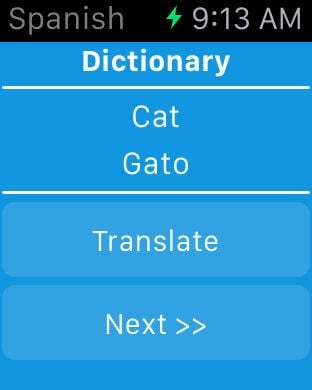 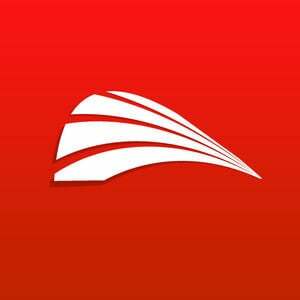 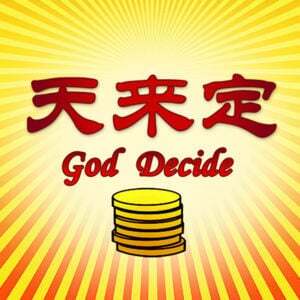 Spanish To English and English To Spanish both sided Offline Dictionary. 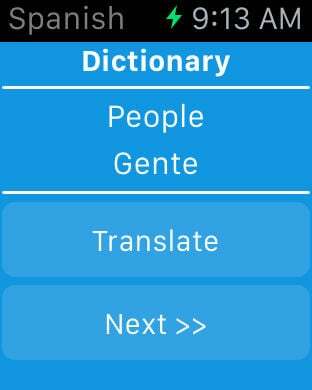 Specially made for fast learners whose native language is Spanish and want to learn English and also who knows English and want to learn Spanish. 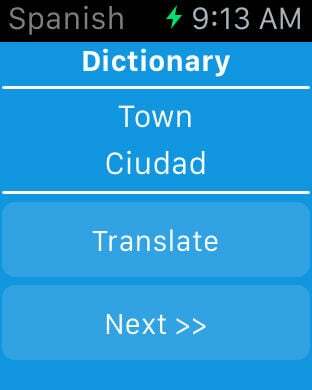 Very useful for Spanish speaking & Spanish Students residing Europe or non Spanish environment and want to learn English. 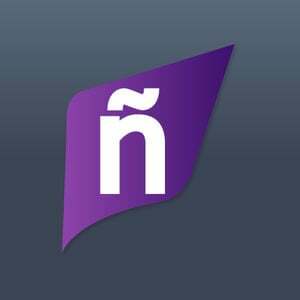 Focused on Spanish students residing abroad for higher study. 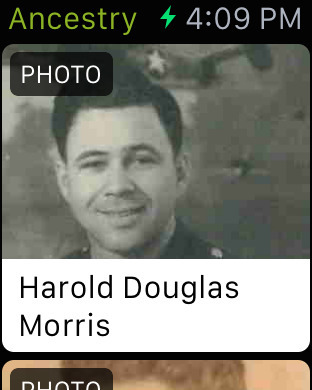 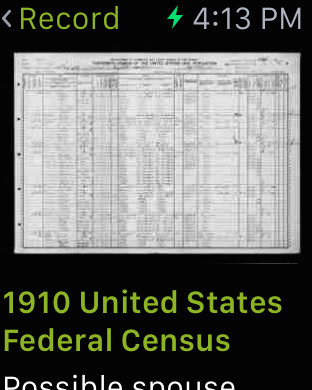 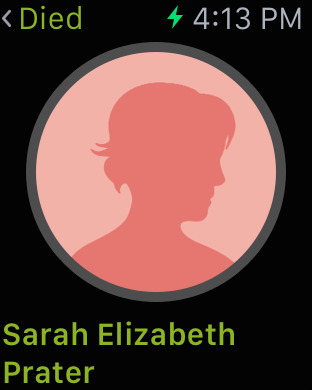 Find out where you came from and view photos and records of family members from long ago with the Ancestry app. 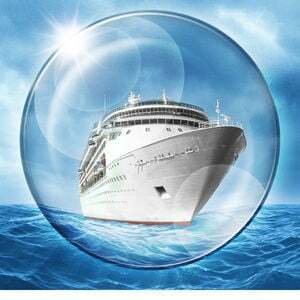 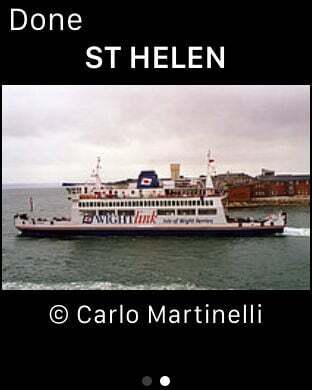 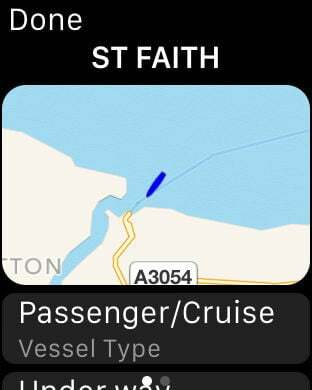 Ever wanted to know more ships and boats, or track a vessel around the globe? 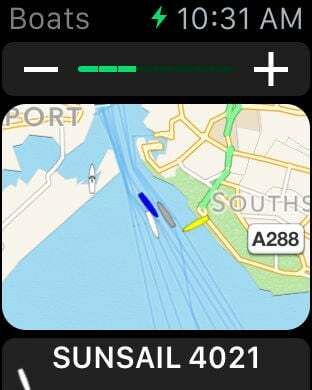 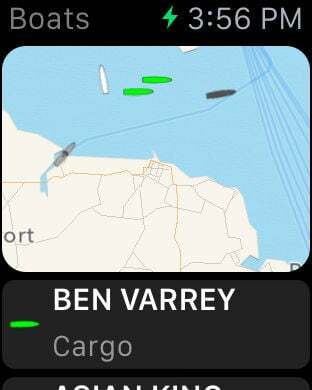 Boat Watch lets you spot and identify boats and ships in an instant. 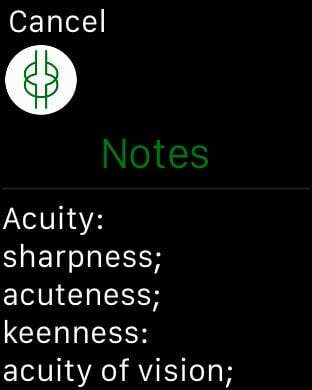 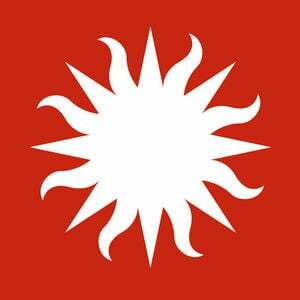 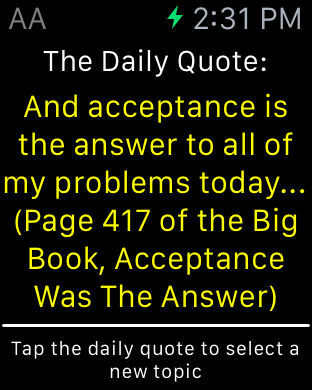 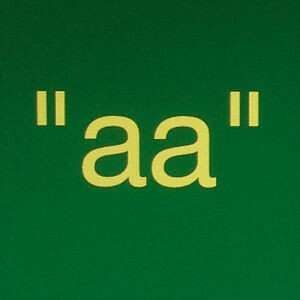 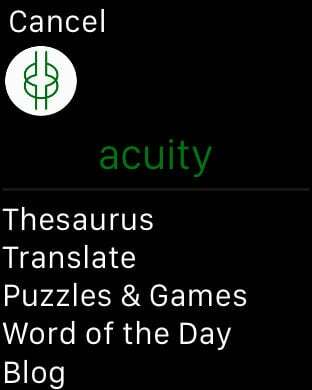 Acuity: sharpness or keenness of thought, vision, or hearing. 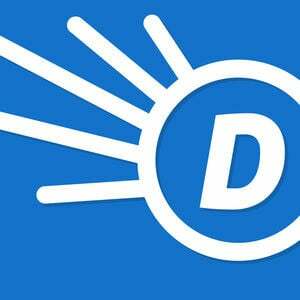 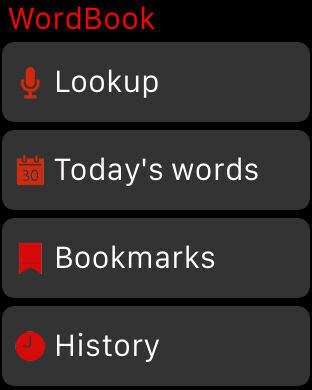 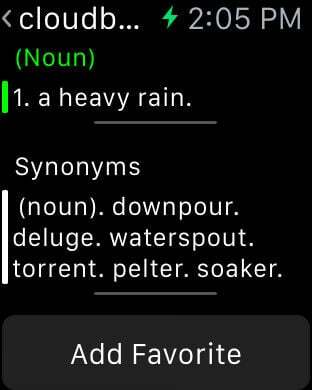 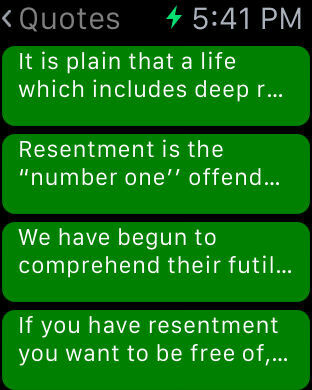 LookUp is an offline english dictionary for your Apple Watch. 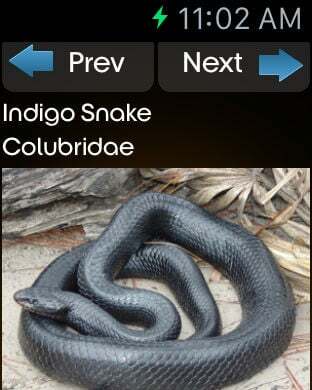 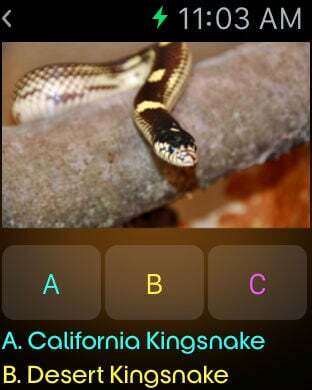 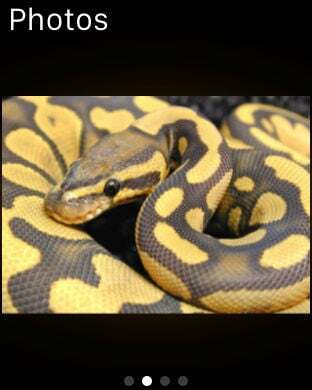 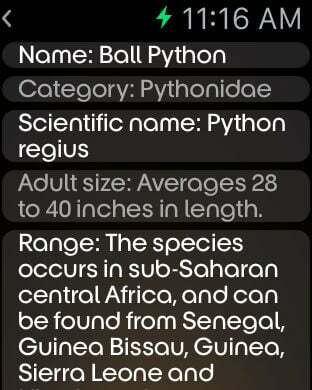 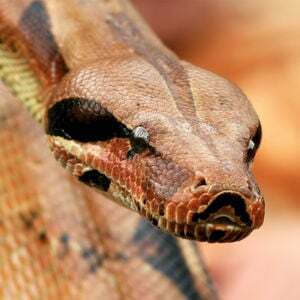 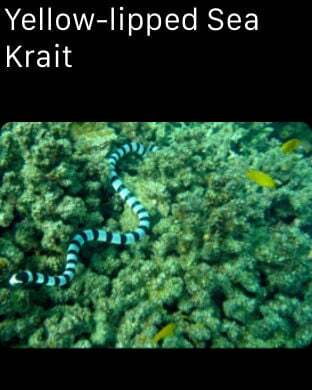 World of Snakes is a great collection with most interesting snakes species. 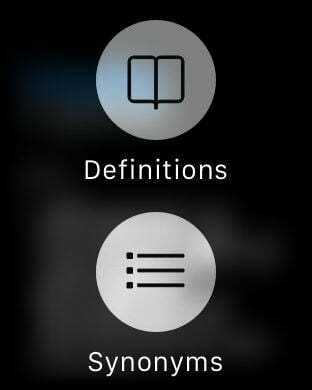 The popular Merriam-Webster Dictionary & Thesaurus is now accessible right from your wrist. 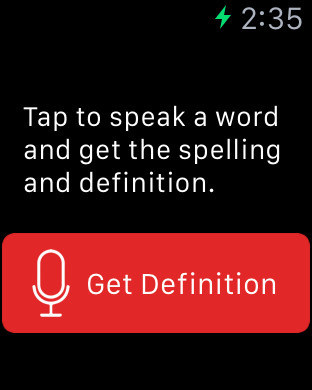 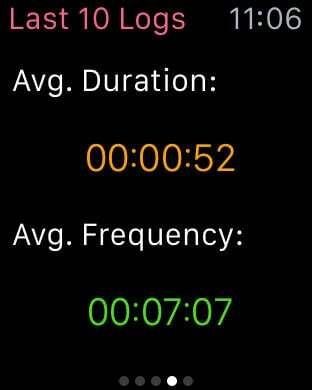 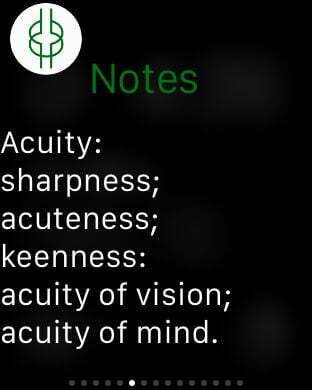 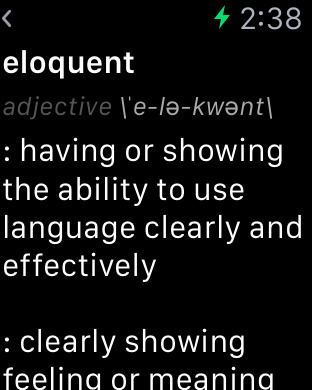 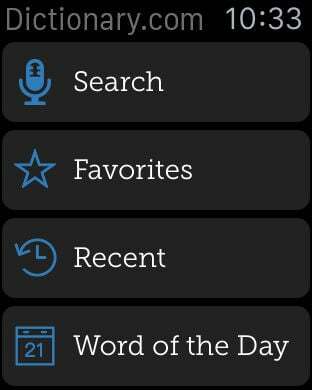 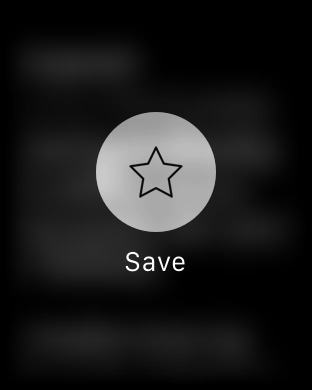 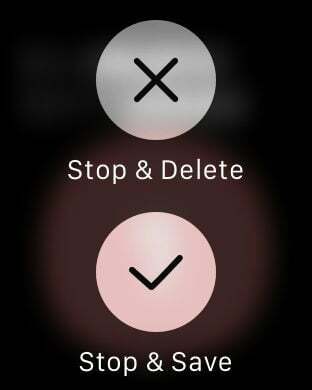 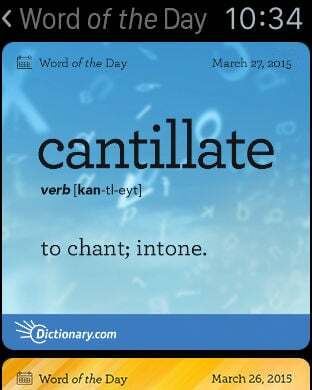 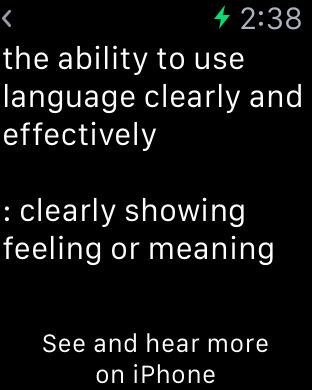 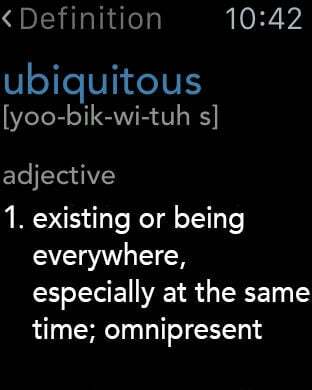 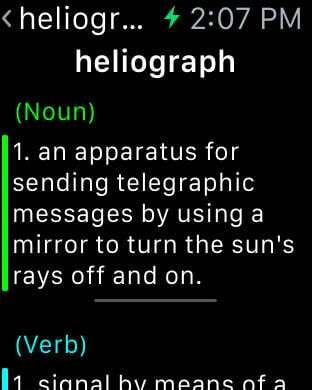 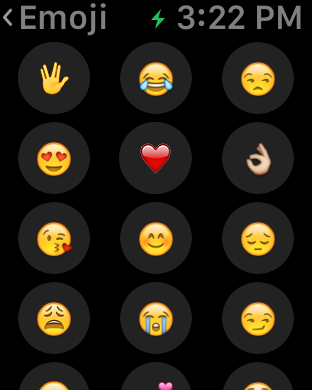 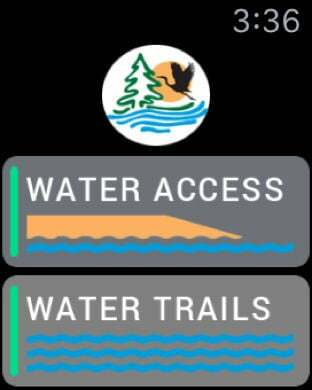 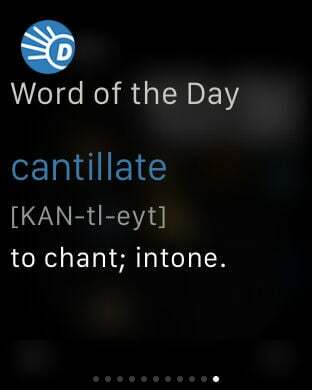 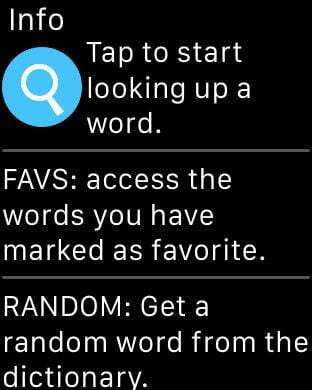 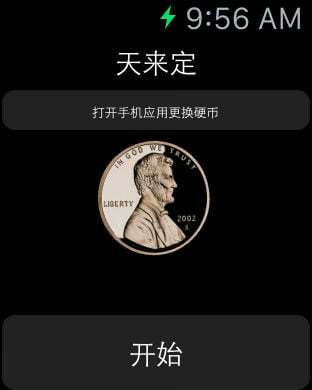 With its Apple Watch extension, the portal to vocabulary improvement is just a turn of your wrist away. 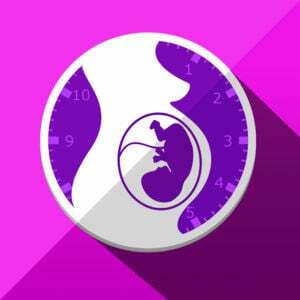 If you are expecting, there is no better app to have than Pregnancy & Baby, What to Expect. 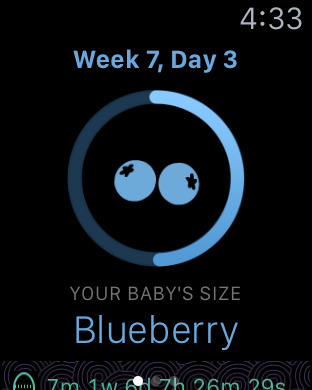 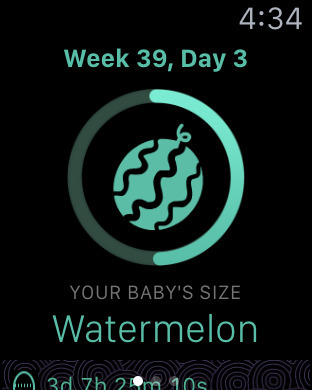 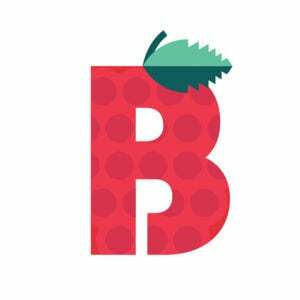 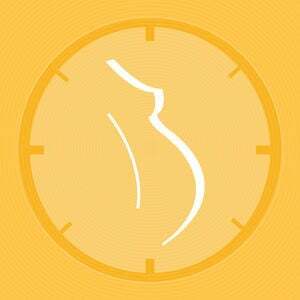 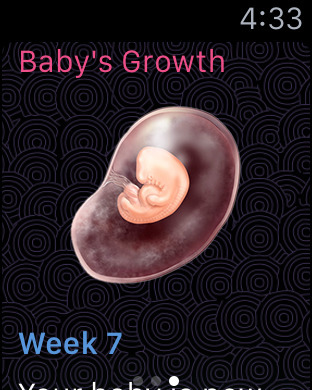 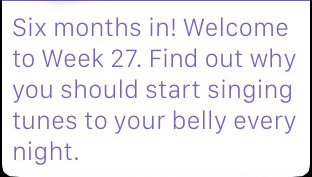 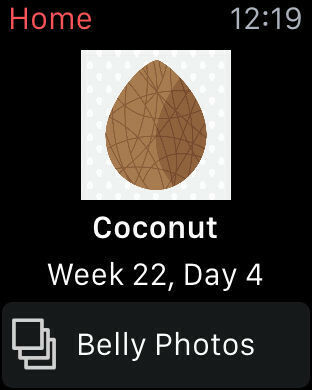 The app will help guide you through each trimester and provide you with the tips and answers you need as a mom-to-be. 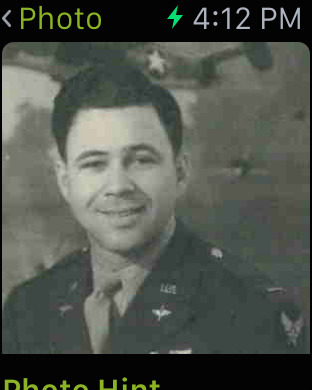 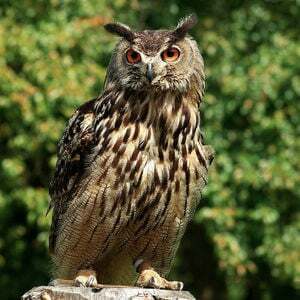 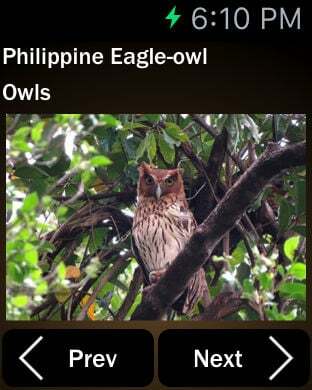 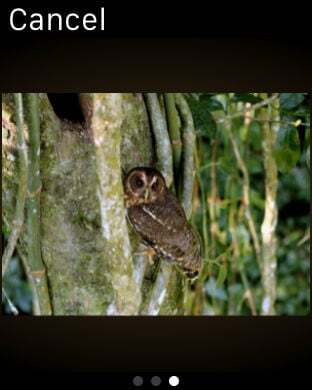 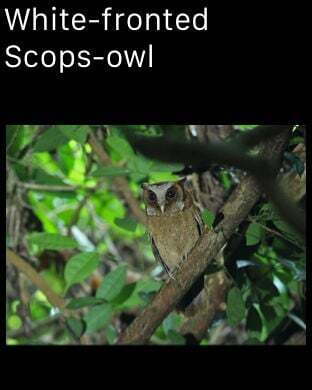 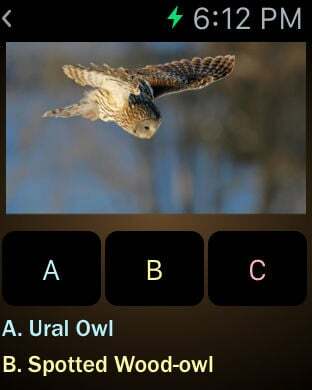 Owls Guru is an excellent collection with photos and info. 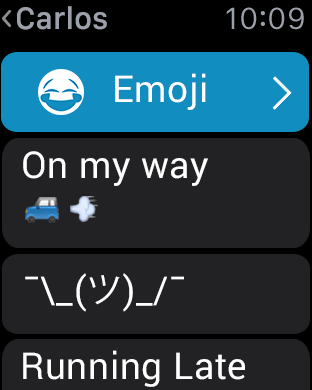 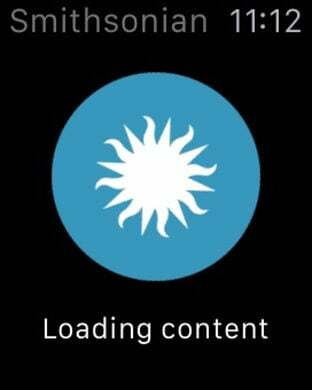 Exclusive for the Apple Watch ONLY! 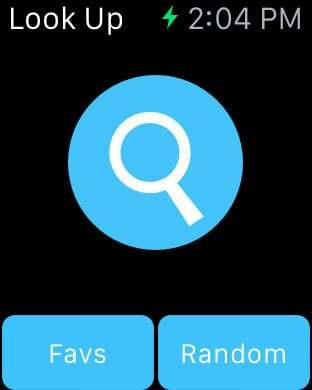 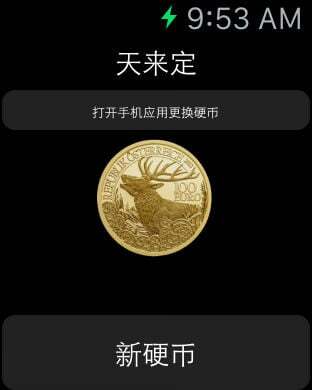 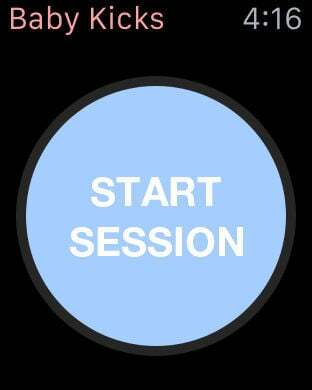 If you do not have an Apple Watch then PLEASE DO NOT DOWNLOAD THIS APP!!! 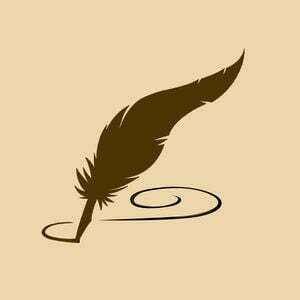 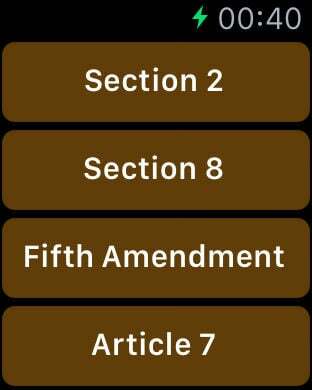 AD FREE–– CONSTITUTION and THE FEDERALIST PAPERS app is the best way to learn about the Constitution of the United States. 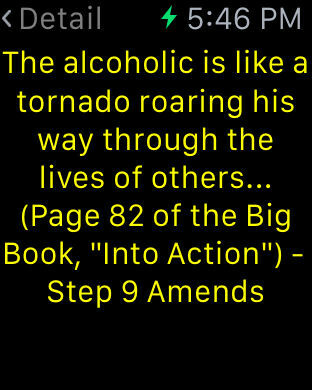 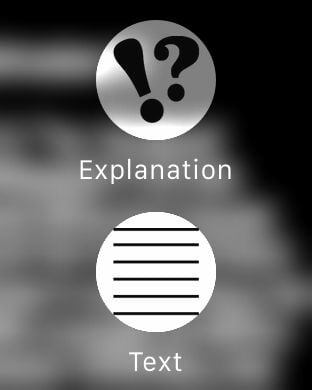 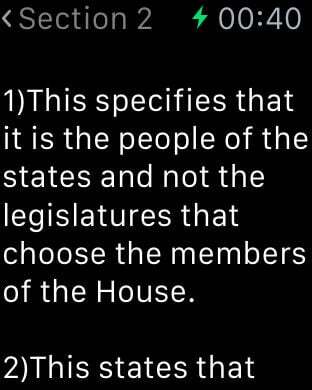 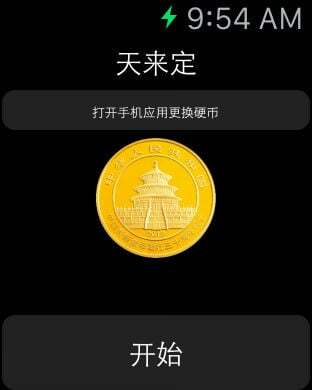 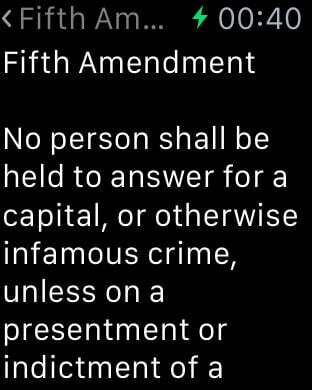 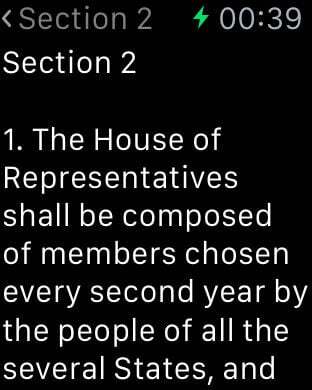 Not only does this app contain the full text of the Constitution, the product also provides an explanation for each and every clause, as well as commentary on each of the amendments. 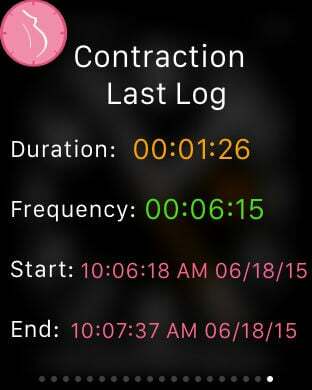 Contraction Monitor is designed for pregnancy mums to track contractions. 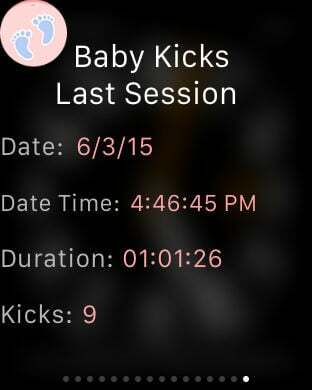 Baby Kicks Monitor is designed for all the pregnancy Mums as a baby kicking counter. 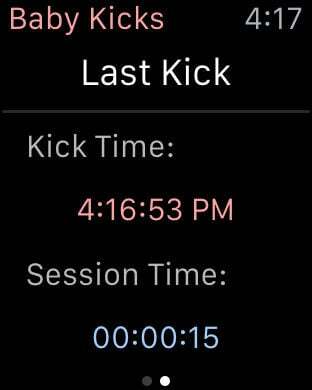 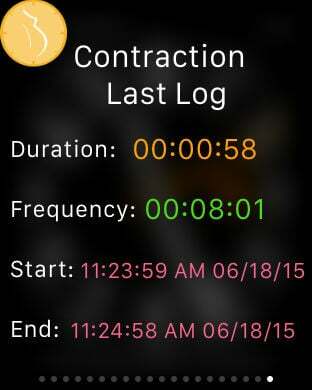 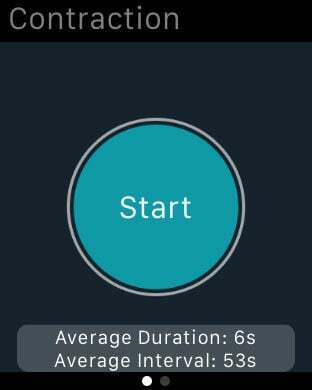 "Contraction and Kick Counter" is the simplest way to track your contractions or to count your baby's kicks. 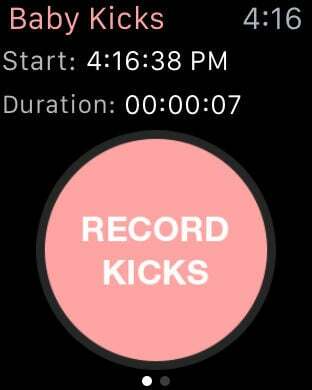 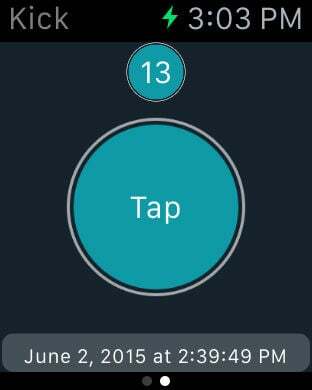 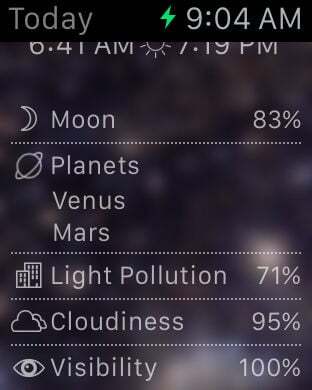 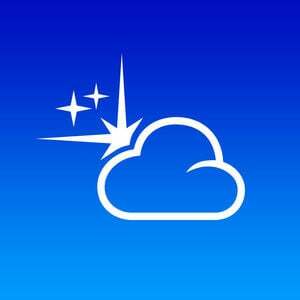 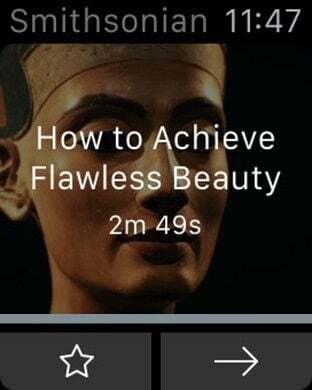 No clumsiness, just tap and record the data. 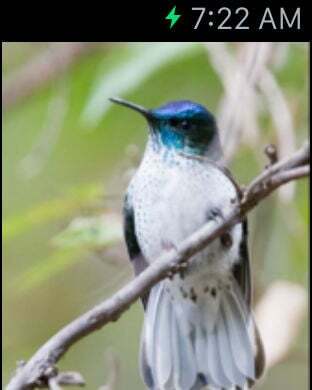 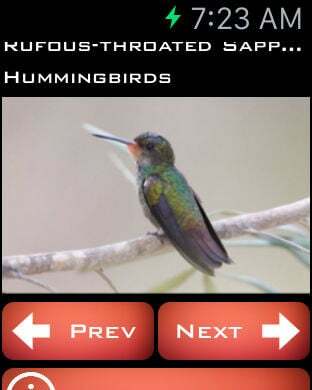 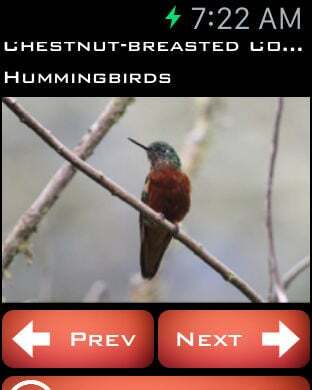 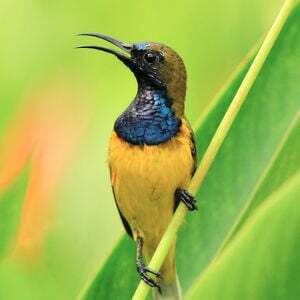 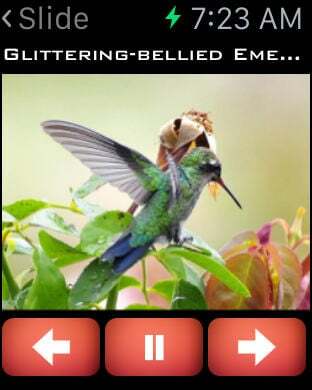 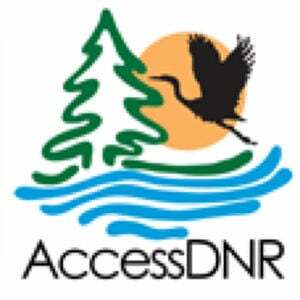 Hummingbirds Species is a great collection with photos and info. 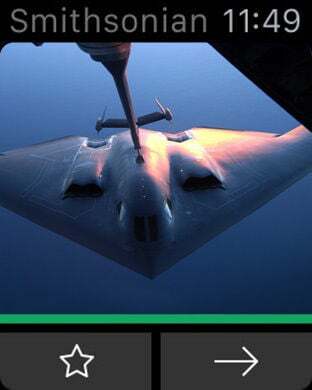 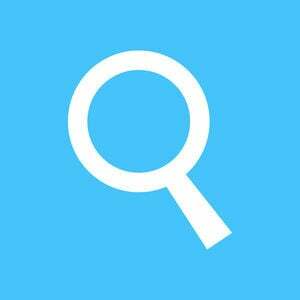 You can zoom photos, view info, edit and share photo with friends.